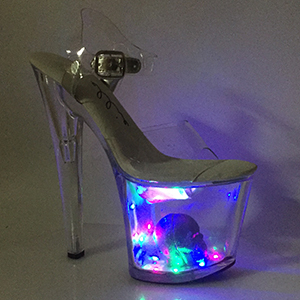 7 Inch Light Up Platform Sandal. 7" Pointed Stilletto W/Light Up Truckgirl Mule. 7" Heel Sandal W Multicolor Lights.